If there's one thing we learned from the various fashion weeks, it's that the frilly floral is the trend of AW17. Fashion is changing, however, with more and more designers showing season appropriate collections that are ready to buy as soon as the model disappears backstage after parading it on the catwalk. This means that customers don't have to wait two full seasons before getting their hands on clothes they lust after. Live streaming of shows means that we can now all sit on the FROW. It also means that high street stores (under much pressure, I imagine) can begin copying the runway looks immediately, so we too can dress like fashion insiders. 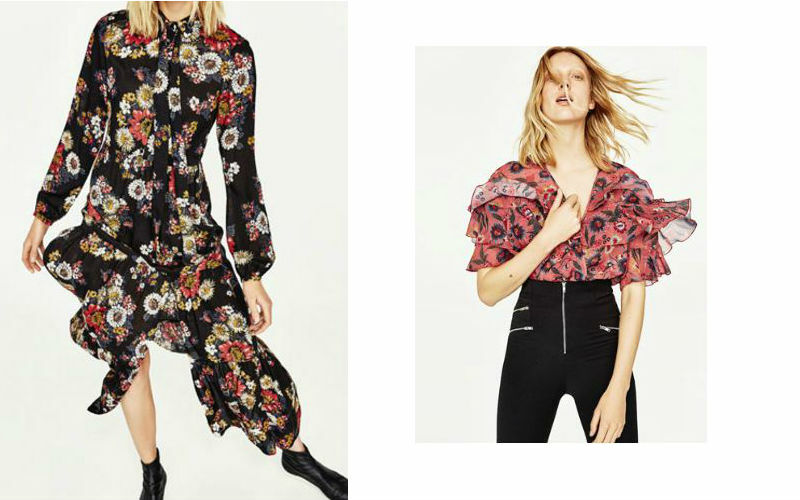 One of the stand-out trends from this season's fashion week was the girly/grunge floral, feminine dresses and skirts that can be cooled-up with a jacket, baggy jumper or boots. 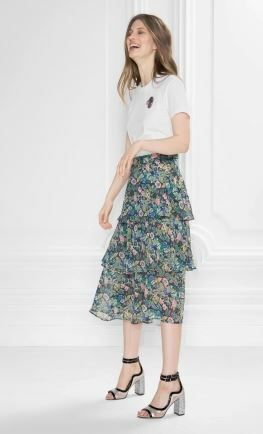 Actress Yara Shahidi wore this skirt to the Topshop Unique show (€235), teamed with this jacket (€360) and these incredible shoes (€155). 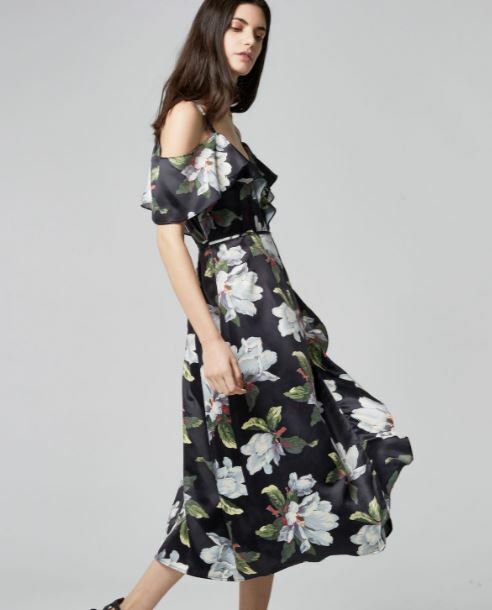 Pretty as it is, it's pricey, but fear not, there are plenty of frilly floaty florals flitting around stores right now, so that you can dress for the next season today. The dress costs €49.95, and I couldn't help including the bodysuit (€29.95) for those who like it on top. Who can ignore these Zara shoes either?